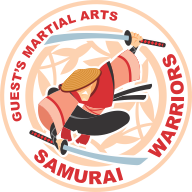 Craig Guest is the Chief Instructor of Guests Martial Arts. He has the following advice for people who are interesting in starting Martial Arts classes and are trying to choose a Martial Arts school. “Have a look around at the Martial Arts schools in your area. There will probably be a few, and not all of them will be professional full time centres. Here are some questions for you to ask when you call the schools you are considering." 1.Is the school staffed by full time professional martial arts teachers or does the Instructor teach as a hobby? There are many schools out there whose Instructors are great people, but they are not truly serious about their Martial Arts as a career. You need to decide if this is someone you want to trust your training (and that of your family), if they are not committed themselves. 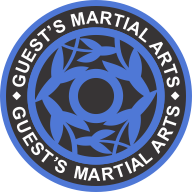 The Instructors at Guests Martial Arts School are career Martial Artists who are employed as Instructors on a full time basis. They are able to devote all their time to teaching and supporting their students. 2. Are your Children’s and Adult’s classes taught separately, or does everyone have to train together? Professional schools will have suitably structured and separate classes for both adults and children. 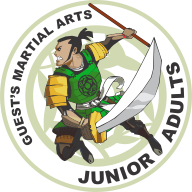 At Guests Martial Arts we recognise that even separating Children’s and Adult’s classes is not enough. 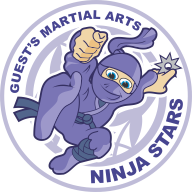 Children at Guests Martial Arts are placed in classes depending on their age and needs. We realise that the way a 4 year old learns and the way 8 year olds learn are widely different. Therefore each of these groups has a separate class and curriculum. 3. Are your Instructors specifically trained and qualified to teach children’s classes? Children have special needs, and develop physically at different rates to adults. A professional school will have training courses for all Instructors who are involved in teaching children. 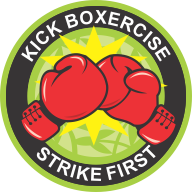 At Guests Martial Arts the Instructors are specifically trained in Instructing the variety of age groups we conduct classes for. Each Instructor has the "Working With Children Check" completed on them, as well as having completed a level 2 First Aid training course. 4. Will I have to compete in tournaments? Many schools in this area require tournament wins in order to be graded . Some schools expect you to compete regardless of your wishes. Sadly, many of these schools place more importance on tournament wins than personal development. At Guests Martial Arts all our students are winners. The only person they ever have to beat is their own personal best or their own personal fears. By concentrating on personal growth and achievement we encourage a strong sense of Self Esteem and promote respect for other students. Quite frankly the idea of small children hitting each other for trophies we find really disturbing. 5. Is the Instructor sufficiently qualified to run their own Belt Exams, or do you have to travel to test? Some schools require you to travel long distances in order to take promotion tests, or will require that you belong to another "parent" or accrediting organization in order to test. These instructors do not usually have sufficient rank or experience to professionally evaluate a student's progress. Belt Exams at Guests Martial Arts are held every month right here at the Thornbury Dojo. The Instructor who holds the Belt Exams is our own Chief Instructor. The students know him and he knows them. Students at Guests Martial Arts School of Martial Arts will never be subjected to testing by strangers. 6. Do you have a record of successfully promoting students to Black Belt? Ask how many people they have promoted to Black Belt in the last year. This will tell you how professional the Instructors are. Some Instructors take great pride in their high failure rate, believing this shows their high standards. At Guests Martial Arts our Instructors are trained to help their students to achieve a Black Belt. The Instructors feel it is their responsibility to get students to Black Belt. All students are expected to train hard. If the student does train hard, there are no artificial boundaries to the student progressing and eventually achieving a Black Belt. 7. Do you charge testing fees for gradings? These are the ‘hidden fees and charges’ in most Martial Arts schools. In some schools it can be as much as $199 to move up a rank! At Guests Martial Arts there are no charges for testing...........Another important question to ask is the frequency of payments. A professional School will have options about paying training fees. At Guests Martial Arts the students pay a fortnightly training fee. Carefully consider the answers you are given to these questions. This will help you decide which schools you should visit and whether you would like to belong to that School on a long term basis.